How does our perspective change after the first reading? What distortions emerge through repetition? How do we determine what’s worth rereading, and what is the role of such repetition in our lives? What are the gains and losses? 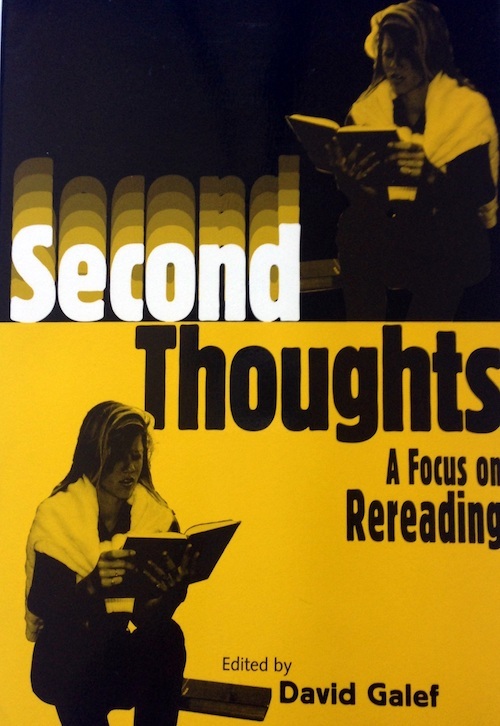 Second Thoughts answers these questions and investigates the phenomenon of rereading narrative texts from various genres. Contributors of this volume explore rereading children’s literature, rereading Proust, how rereading functions in the oral tradition, and why so many people reread romances. Essays range from rereading Shakespeare and Spenser to rereading on a desert island and the rereading of hypertext. The essays in Second Thoughts discover, survey, even create, rereading as a field of inquiry. And a fertile ground it turns out to be. The contributors vary in perspective and method, but all of them uncover something practical or of theoretical interest to the critic, the educator, the general reader. This is a volume to build on. An outstanding collection of essays on an intriguing topic. An apparently simple concept, rereading proves upon reflection to involve a number of complex critical issues and to play a crucial role in several cultural enterprises. The overall impression the volume gives is that rereading justifies the attention it is afforded here and that a collective treatment of the topic is especially rewarding.